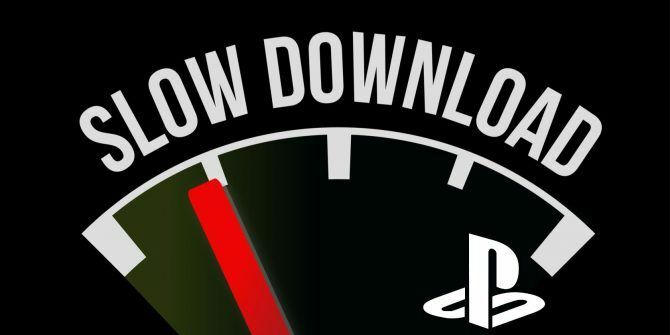 Does it seem like the download speeds on your PlayStation 4 are taking forever? It’s not just you! Juho Snellman, a systems programmer from Switzerland, has taken the time to describe why PS4 downloads slow down for various reasons. 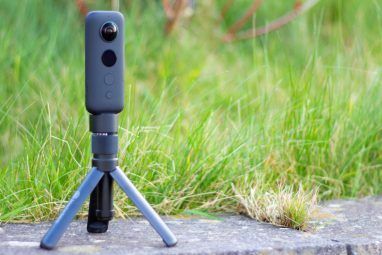 You can read his full post for the technical details, but we’ll discuss the biggest cause here. In short, having applications open on your PS4 will cause the download speed to drop dramatically. Even if your PS4 is on a wired connection 9 Quick Ways to Instantly Speed up Your Home PC Network 9 Quick Ways to Instantly Speed up Your Home PC Network If you have a wired or wireless home network, chances are you'll be looking for ways to optimise it so that it is running as fast as possible. Read More , having a game or media app like Netflix open will cause download speeds on the PlayStation Store to slow to a crawl. This applies to both new games you’ve bought as well as updates for existing games. To close open apps, press and hold the PS Button on your controller to open the Quick Access Menu. Look at the top of this list for Close Application. Select this option, and you’ll have the chance to close any open apps. If you’re playing a game, chances are that the only app open is your game. But if you use Spotify to listen to music while you play, that will be open too. Say you start playing Battlefield 1 online and there’s an update for Uncharted 4 that starts. While you’re playing the game, the download will take forever. This makes sense, because the system wants to prioritize the game you’re playing over a background download. If you want the download to finish quickly, your best bet is to close all apps and put the system in Rest mode. But make sure you don’t put it in Rest mode with a game open, or it will keep that open and still throttle the download. For massive downloads, you might consider doing a system reboot to ensure all open apps are closed. Open Quick Access and select Power > Restart PS4. After a reboot, leave your system alone and it should download speedily. If your PC download speeds are bad too, take a look at how to optimize those How to Optimize Steam's Download Speeds in Windows 10 How to Optimize Steam's Download Speeds in Windows 10 Steam regularly releases games for peanuts. A Steam purchase, however, is only half the battle. You'll have to download these games too. We'll show you how to speed up Steam downloads. Read More . Do you have problems with your PS4’s download speed? Does closing apps work for you? Tell us your experience in the comments! Explore more about: Download Management, PlayStation 4, Troubleshooting.